St Valentine’s Day: the Hallmark holiday which spreads its cherubic wings around February to proudly proclaim "love is in the air" (please demonstrate your love by spending money). For Newcastle Utd, the subject of love was one which followed our every move last month, even if results showed that the path of true love never runs smooth, with solid wins against Blackburn and Villa (including a fantastic debut goal by Papiss Cisse) undone by something more akin to a Valentine's Day massacre at Spurs (who sadly didn’t take their eye off the ball) and a home draw against Wolves. 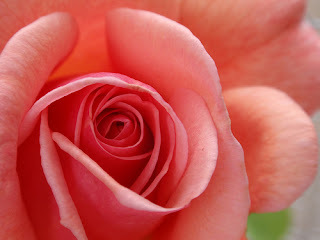 Shakespeare once said that "A rose by any other name would smell as sweet". For us, Jabba thought he’d test that particular theory with the removal of the sign completing the rebranding of St James’ Park, something which wasn’t welcomed either officially, or unofficially. Current loves catching the eye this month, perhaps unsurprisingly, included Dreamboat who drew special (if unwanted) attention from the TV cameras, and promptly found himself in receipt of a note from the FA. Demba Ba also found himself the subject of unwanted attention, when a former lover decided to use the media to express his displeasure at their breakup, while Mr T was left heartbroken by his countrymen’s inability to hit the spot. On the subject of love notes, a host of players both current and past took to their favourite means of communication to draw attention to themselves, and in the case of ASBO and the Lone Ranger, land themselves in trouble. Danny Simpson, on the other hand, simply tweeted about Demba’s favoured love potion. Unfortunately a few idiots also took it upon themselves to tweet things of an altogether more unpleasant nature. Past loves were also in the news, with everyone’s favourite Peruvian trumpet-playing love rat starting a new fling, our former French fancy coming a cropper, and Lee Clark cruelly dumped when everything looked rosy on the surface. With the closure of the transfer window coming at the end of January, we also took the opportunity to appraise the gifts received both by us and others, kept up to date with potential further loves and assessed how the present crop of loanees were getting on in their quest to attract new admirers, or just add a few notches to the metaphorical bedposts of their experience, and the club took a long hard look in the mirror and decided it needed to have a shake up of the way our kids are handled. One current love whose nose might well have felt out of joint was Leon O’Best, who found out that we might be willing to pimp him out to Celtic (even if the player himself elected to stay). Pausing briefly to consider those we love to hate, 5under1and “striker” Nicklas Bendtner had a busy month off the pitch, picking up a speeding ban and court appearances with impressive frequency. Finally, we can finish with the twin delights of the Lion of Gosforth’s Newcastle goals, and a photo of Ben’s new love. "It's onwards and upwards, really"